Hari Rokaya in Jumla 2010 as the Himal Race passed through town. Thanks to Sylvain Bazin for the pic. 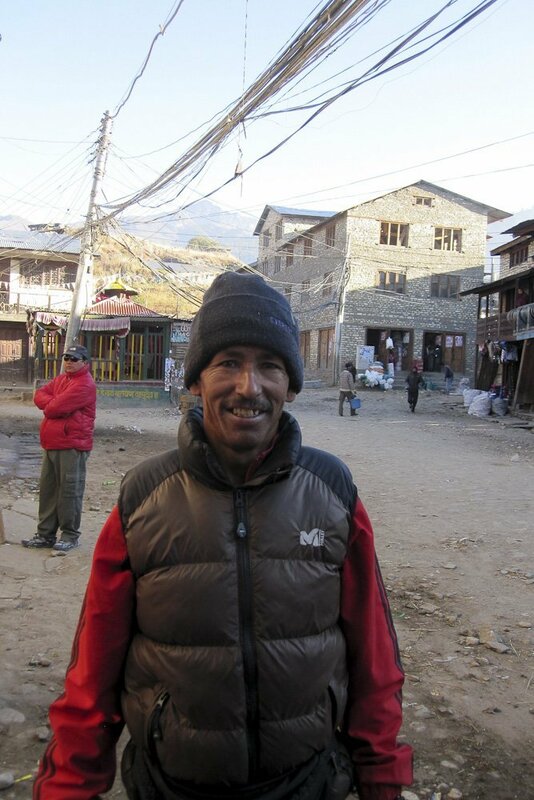 Hari Rokaya is now 49 and lives in Jumla in Western Nepal. Rather than paraphrase and rehash various articles about Hari, I will post links to short articles and let you soak up the story of Hari Rokaya. Hari Rokaya, marathon runner, eats nothing other than plain old daal-bhat-tarkari. His training is similarly low tech, but you wouldn’t know that from this 39-year-old’s impressive record of first places. There is more to the story than a starchy Nepali diet. Rokaya’s is a tale of hard work, determination, perseverance, patriotism-and, sadly, corruption in the sporting authorities. Run, Hari, run – Nepali Times, Jul 2003 and a readers letter which clearly fell on deaf ears. “Solar panels on the house roofs is common but why one in the corner of Hari’s room? ‘I take my camera along with me when I run,’ said the player who has been running over hills around the bazaar since his childhood. ‘The panel is for charging camera batteries.’ It is his hobby to take pictures of ‘beautiful scenes’ as he runs on high hills. 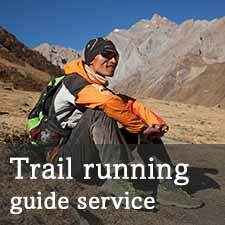 Can we get Hari to run the Annapurna 100 this January? Probably not. Latest news is that his son, Umesh, has his eye on the Everest Marathon!